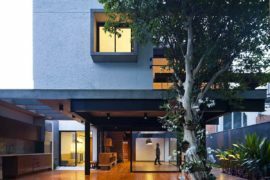 It seems like modern designers are becoming more and more innovative when it comes to providing both amazing views, be it from the terrace of a lovely contemporary home or from a condo that has a city skyline for backdrop. 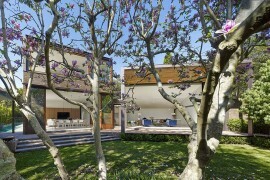 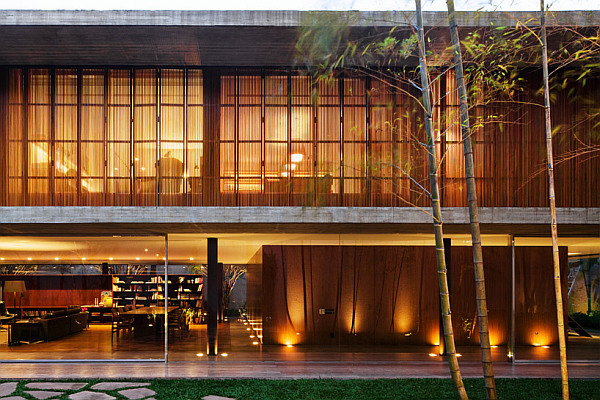 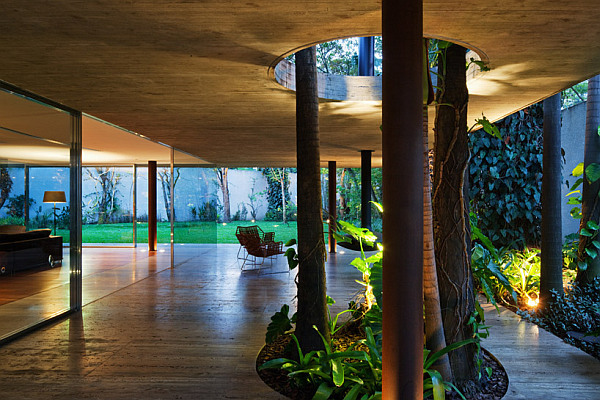 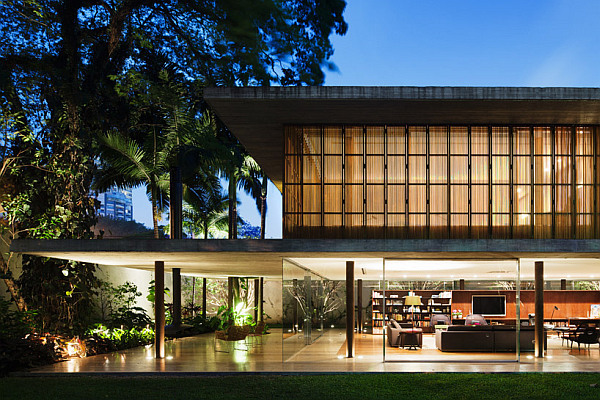 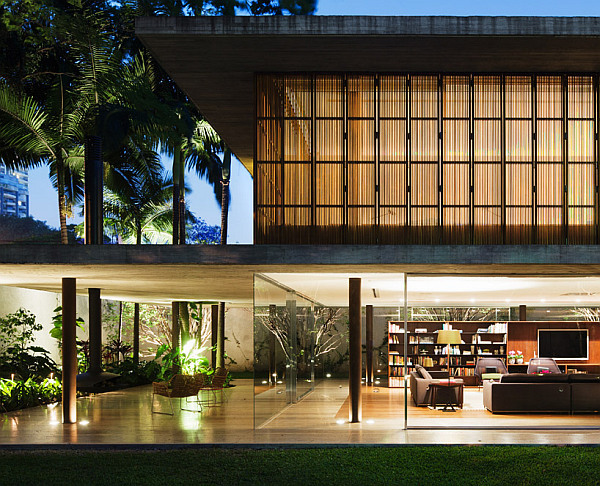 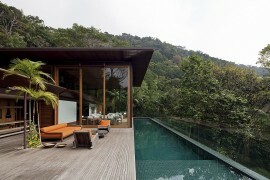 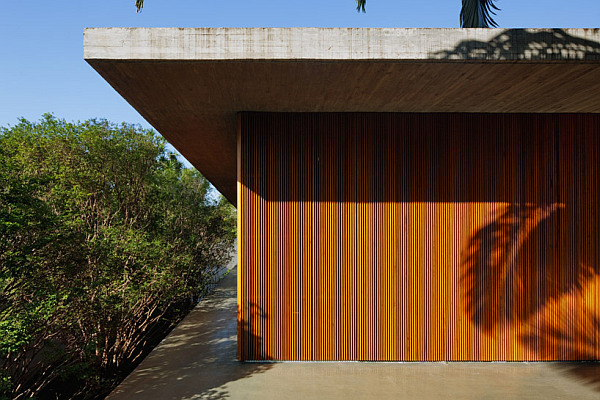 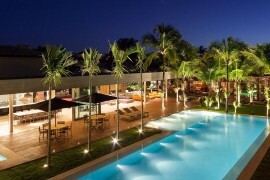 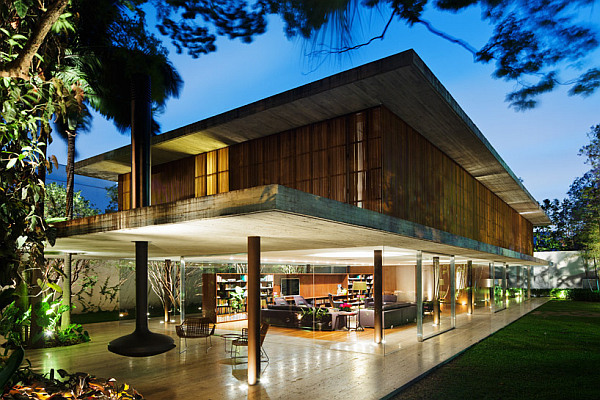 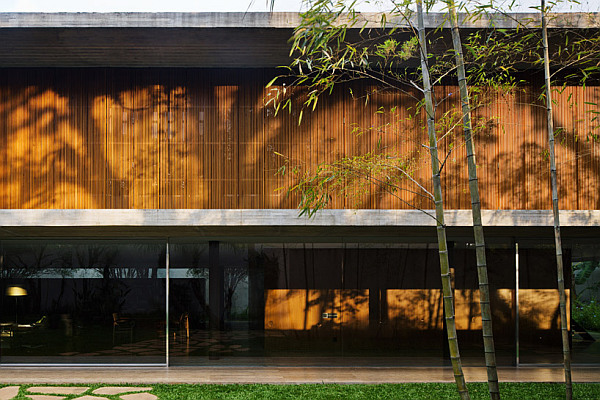 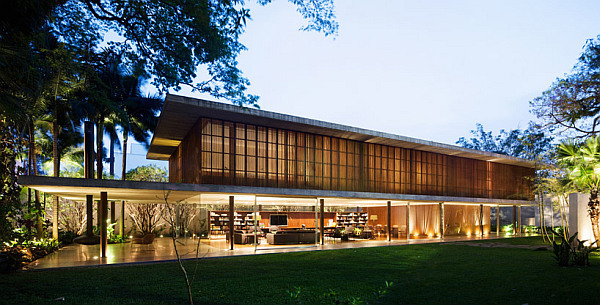 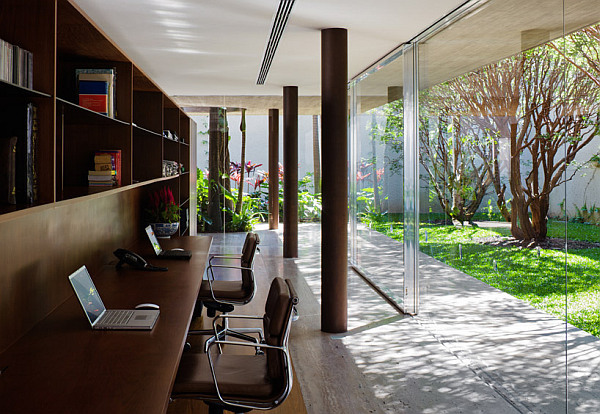 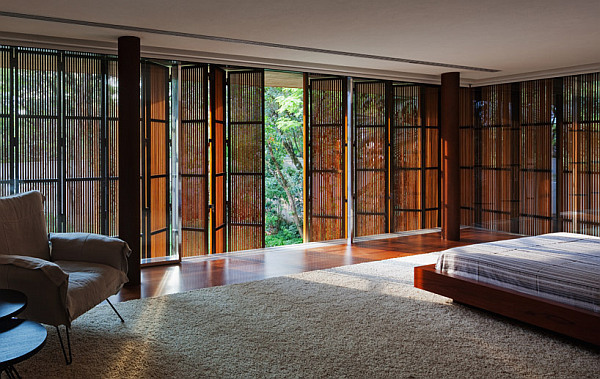 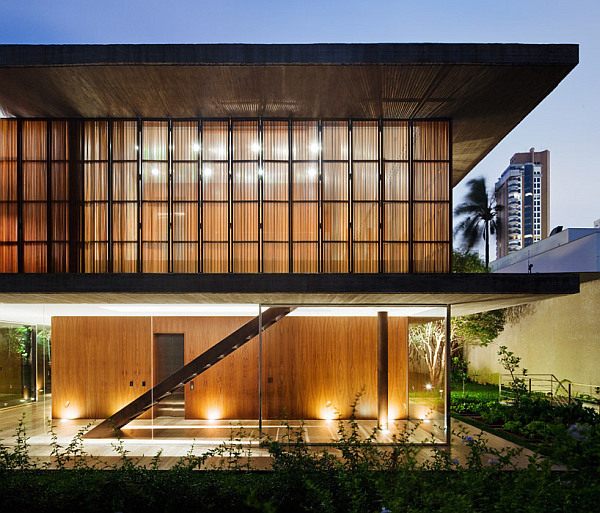 But the Toblerone House in Sao Paulo, Brazil offers a lot more than just great views. 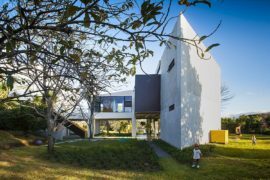 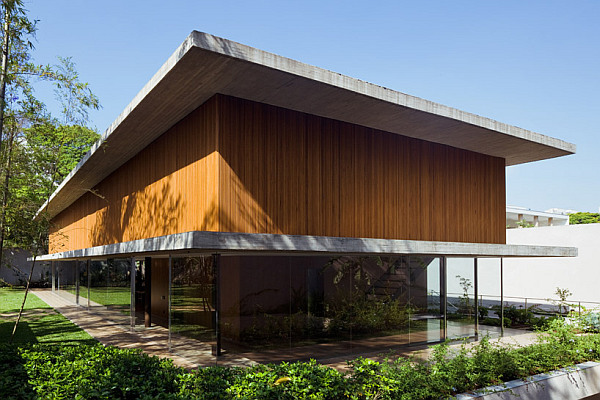 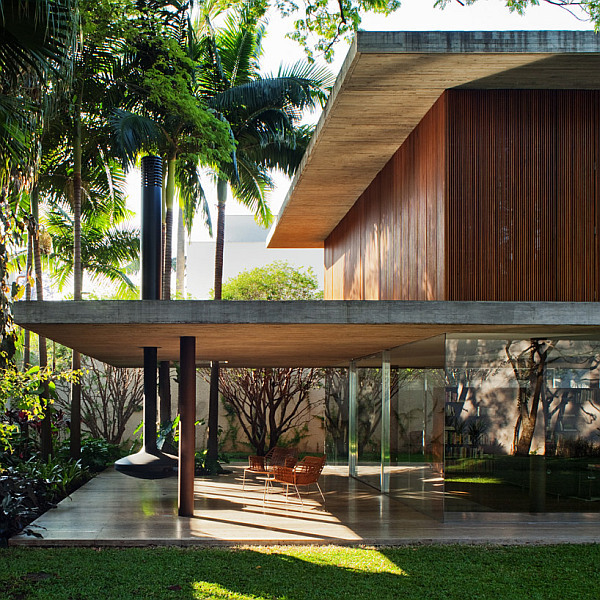 Located among thick vegetation and set in a region that is renowned for its amazing rainforests, the home invites green into its structure, quite literally! 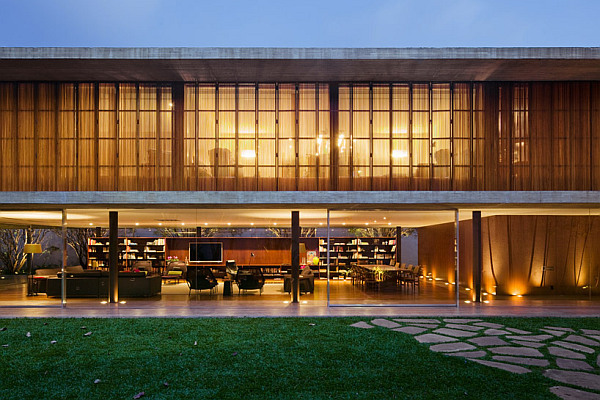 Designed by Studio MK27, it has been basically divided into two levels, with the lower level being a social hub that is encapsulated completely in glass. 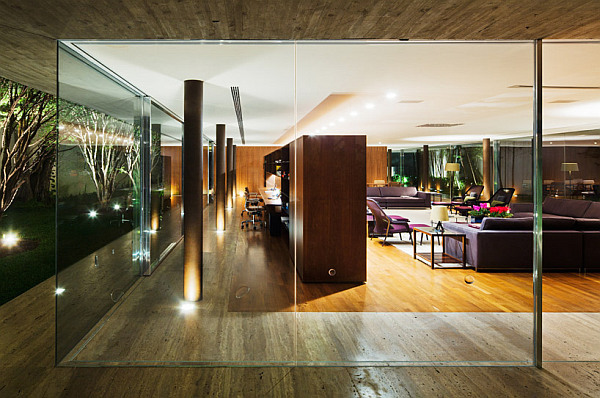 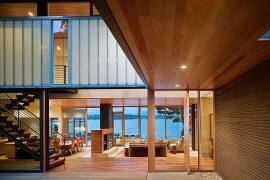 This beautiful lower level uses nothing but glass walls and that pretty much brings the outdoors inside the home. 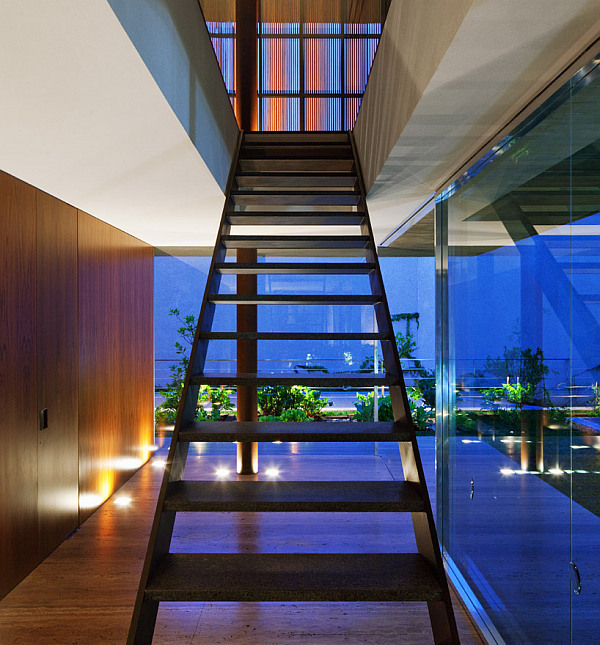 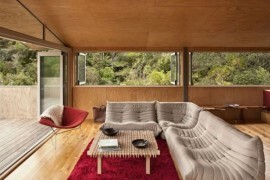 The top level is surrounded by retractable wooden panels that ensure those inside can get all the privacy they need, and still tap into the wonderful and fresh views of the outside world whenever they feel like. 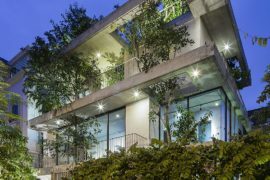 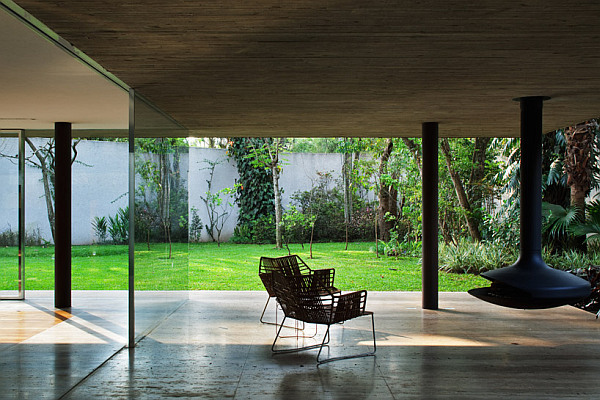 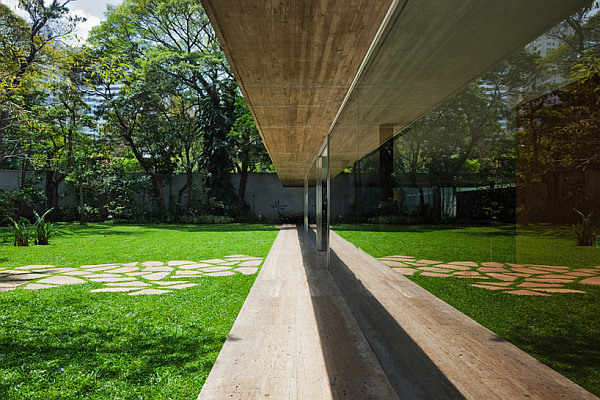 But the most distinctive aspect of the home is the openings that are specifically created to ensure that vegetation pretty grows ‘through’ it unabated.